For twelve years between 1968 and 1980, generarations of children and adults alike were entertained on a Saturday teatime by a puppet. That puppet was Basil Brush. His initial TV appearence was in 1962 in a children’s show “The Three Scampies” about an out-of-work circus act. The act comprised of a human: Howard Williams, Ivan Owen animated and voiced Basil and Wally Whyton animated and voiced Spike McPike, a very aggressive Scottish hedgehog both puppets were made by Peter Firmin. 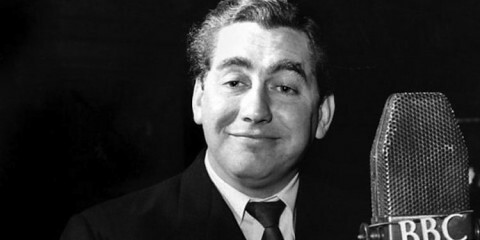 In the mid-1960s Basil re-appeared on TV as a supporting act for the magician David Nixon on the latter’s BBC1 show Now For Nixon in 1967 and The Nixon Line (1967-68). 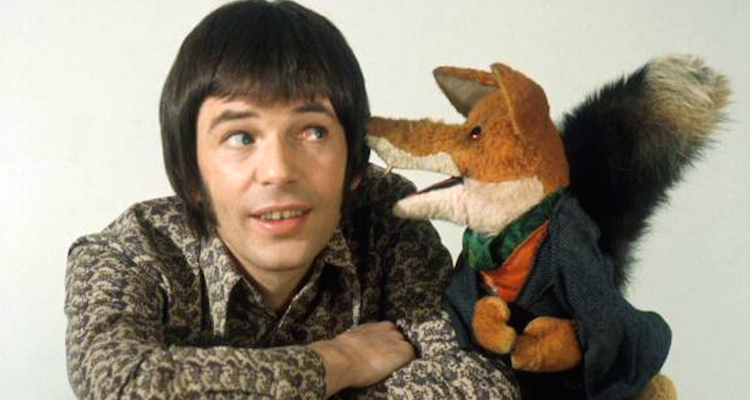 Basil upstaged Nixon to such good effect that the fox was offered his own show. And so in 1968 he got his own show: The Basil Brush Show, that would go on to make him a household name. With his trademark quips and Boom! Boom! catchphrase he quickly gained popularity with children and adults alike. Throughout his twelve year run he would be joined by a co presenter, to whom he would refer to as Mr……whatever the first name of the presenter happened to be. 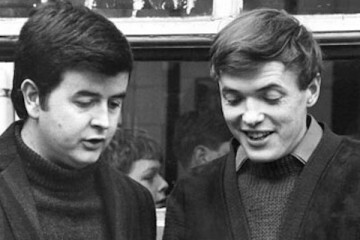 Initially it was Rodney Bewes of Likely Lads fame (Mr Rodney) he appeared alongside Basil in 1968. 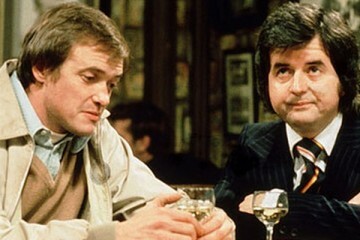 In 1969 it was Mr Derek — Derek Fowlds, — who was the stooge for Basil’s quips between 1969 and 1973. 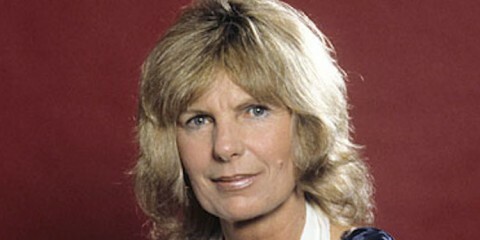 Subsequent presenters were Mr Roy (Roy North, 1973–1977), Mr Howard (Howard Williams, 1977–1979), and Mr Billy (Billy Boyle, 1979–1980). A dispute In 1980 Basil’s puppeteer and voice Ivan Owen wanted to move the show to a mid-evening time slot. 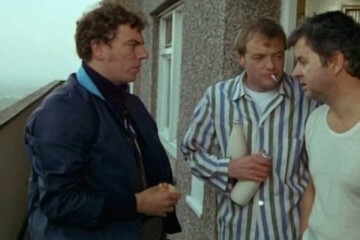 When the BBC were unwilling to agree it led to the show’s cancellation. In 1982 the puppet reappeared on television in Let’s Read With Basil Brush, this time on ITV for an infant schools programme produced by Granada Television. 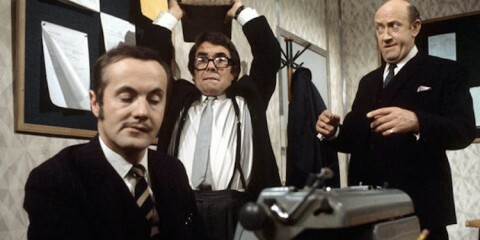 Basil eventually returned to the BBC, as co-host of the long-running children’s television series Crackerjack broadcast at 4:55pm on Fridays, during the 1983–84 season. After the TV series ended, Howard Williams returned to tour with Basil in his stage act. 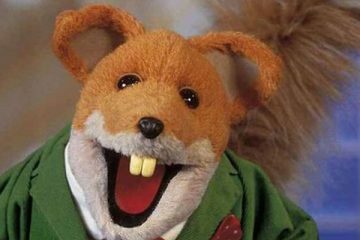 After the death of Ivan Owen in 2000, Basil returned to TV screens again in 2002 performed by a new puppeteer — in a children’s BBC sitcom again entitled ‘The Basil Brush Show’ another post for another time. The show, which was recorded in the presence of a live studio audience, would usually run about 25 minutes. 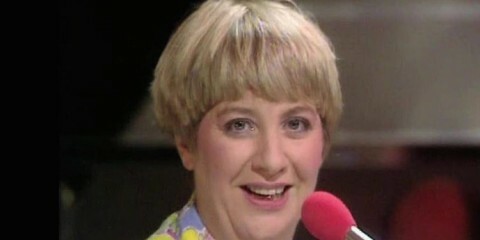 Next up was the musical item, featuring a guest singer or group (these included some of the most famous singers of the day, top stars such as Demi’s Roussos in 1973, Petula Clark in 1979, and Cilla Black — big stars were keen to be on the show, as it attracted huge audiences); sometimes the guest singer would do a song, straight, but then also do a comic duet with Basil. Finally, the show would conclude with ‘storytime’, in which Mr.. would read aloud from a serial story about the adventures of some fictitious historical relative of Basil’s — for instance ‘Bulldog’ Basil, or Blast-Off Basil and his journey to the stars (a Star Trek spoof), or Basil de Farmer, the knight in shining armour (a Robin Hood spoof); or at least he would attempt to. A running gag was the continual interruptions by a string of jokes and humorous remarks from Basil. Often at this point, in the mid-1970s, Basil would get out Little Ticker, his clockwork wind-up dog, and have it do humorous tricks at the side, almost off-camera, in order to distract the audience and thereby take the rise out of Mr Roy. Each week’s story ended on a cliffhanger: to be continued the following week. A classic instance was during Roy North’s tenure, whilst reading an instalment of Bulldog Basil, Basil became more interested in a plate of jelly on the desk near him, whilst Roy North was reading the story Basil would pretend to be listening whilst paying more attention to the jelly. To end the show, as the credits rolled Basil and Mr … would finish on a song, based upon that week’s serial story. Running jokes throughout the show included, referring to “the hounds” whenever Basil was getting too out of hand, and grabbing his snout when he got absolutely unbearable.